Cougar Monitoring operates a state of the art alarm receiving and monitoring centre, allowing the well trained and experienced staff to provide live security surveillance and respond to security issues in any eventuality. The live operation can provide rapid deployment of mobile response units and notification to emergency services to ensure the safety of both people and property. The monitoring centre is fully staffed 24hrs a day, 7 days a week, 365 days a year, and provides fast and secure management of all clients’ security systems. Due to the sensitive nature of Cougar Monitoring services, Securenett were requested to find a solution that would both improve security access to the monitoring centre and provide a solution that would be reliable and convenient to the workforce. The monitoring centre operates with designated and assigned areas, and the client required access control over each area to ensure only those with the appropriate permissions could gain access. The final requirement for the improved system was to find an alternative system to card and fob entry control, due to concerns that secondary credentials can be lost, stolen or shared. Cougar wanted a system that would be able to prove to clients that their systems and facilities operate at the highest security standards. Securenett pitched a solution consisting of ievo products for biometric identification, integrated with the Paxton Net2 access control system. The ievo ultimate is CPNI accredited (meaning it is approved for use in Government facilities) which would meet the high standard required for the product and the reliability, functionality and integration options with Net2 covered all other requirements. 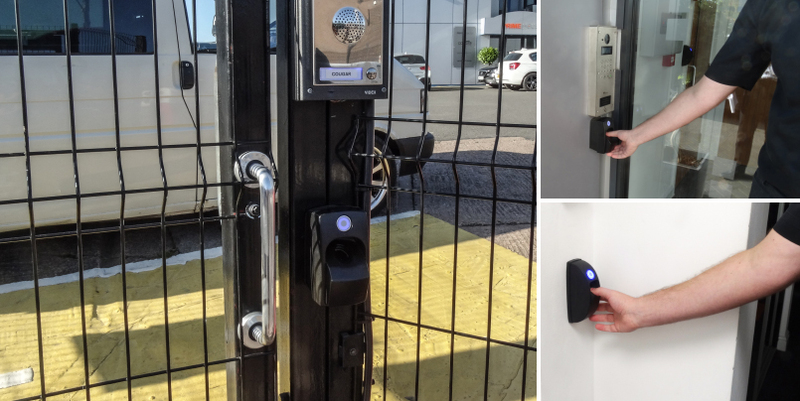 A system of four ievo ultimate and twelve ievo micro fingerprint readers operated by a network of ievo control boards was installed and integrated with the Net2 system for full biometric access control. The ultimate readers are used at external access points due to the robustness and Government approval status and to safeguard entrances/exits, and the micro units provide internal access control points. ievo desktop registration units are kept onsite to allow for new registrations to be made. Operational areas of the facility were given different access zones, and employees working in different areas were all assigned the required access permissions applicable to the different zones controlled by ievo fingerprint reader identification points. A biometric solution was used to remove the reliance on identification credential that can be easily lost, stolen or shared, and can cause a drain on costs and resources. Also, the benefits of a biometric solution are that only those who have registered can gain access, and there is a considerable convenience to the user in that they (or their fingerprint) is the authorisation tool, not a card or PIN, this also reinforces the security of the facility. Since the installation was complete and all staff trained on the correct use and functionality of the system, including how ievo systems process and store biometric data for data protection (to ease concerns on staff provided a fingerprint) the system has been praised for its simplicity, effectiveness and security improvements to the facility.